Don't miss out. There's only 5 available and 5 other people have this in their cart right now. Don't miss out. There's only 1 available, and 5 other people have this in their cart right now. Elegant Craftsmanship for your Knitting. 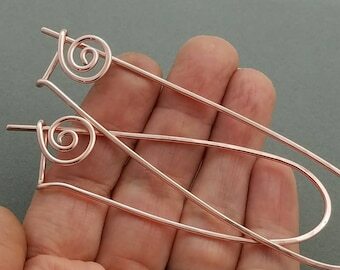 Price is for (1) ONE Elegant Swirls knitting stitch marker handmade in your choice of solid copper or solid brass 20 gauge wire. Largest size for this wire thickness is US11. Length of a US10 [6.0mm] marker approx. 3/4 inch [19mm]. Overall marker length varies with loop size. 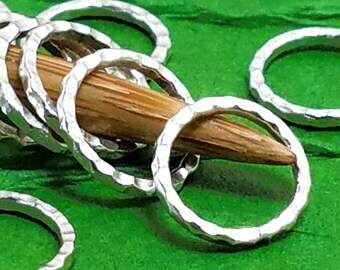 Each stitch marker is individually hand wrapped, formed, tumbled and inspected here at SpindleCat Studio. Wire ends are carefully beveled and wrapped close to loop stem for a smooth, snag-free finish. Buy one as a gift for a friend, an addition to other SpindleCat copper marker sets, or order as many as you like. Just be sure to tell me what metal and what size to make your marker(s) in notes to seller at checkout. Love this unique and useful design! 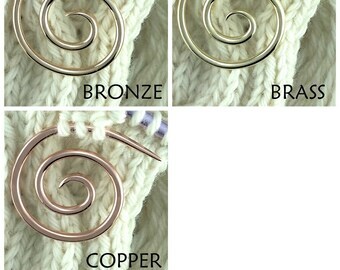 It's not easy to find stitch markers for smaller needles and this is just perfect! 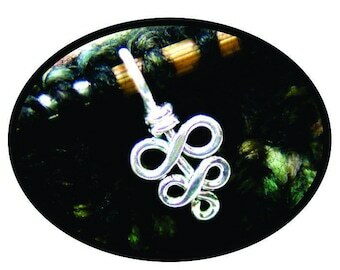 Great attention to detail, fast shipping, friendly communication - fabulous shopping experience! As pictured and shipped fast. 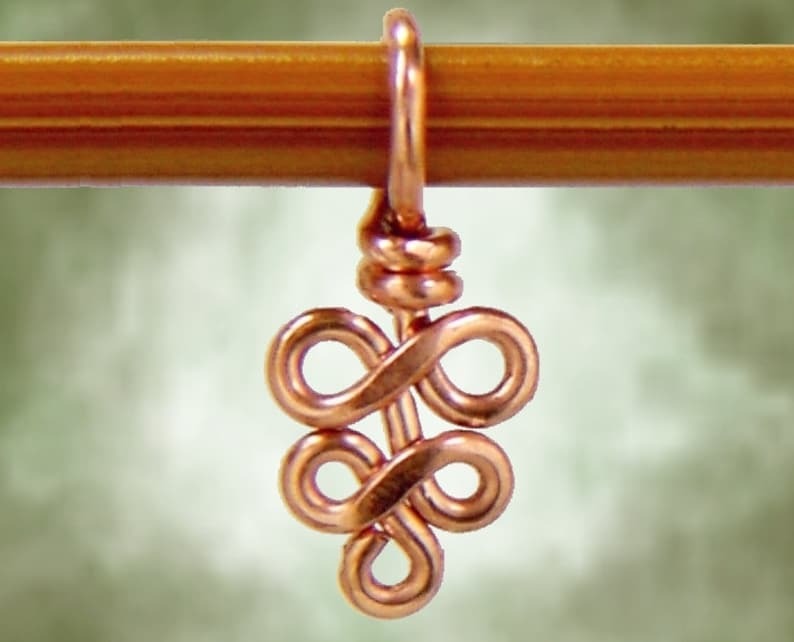 Love this delicate little stitch marker! Beginning to love original works of art!